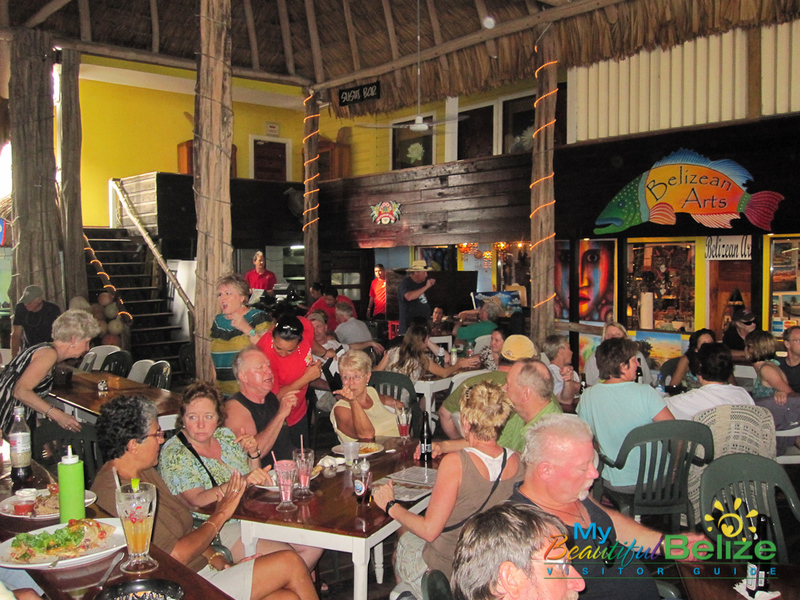 Entertainment – the kind that keeps you dancing and smiling the day or night away – is found easily in San Pedro Town. There is never a shortage of things to do – and apart from the water adventures, the island itself offers a myriad of places to have fun. One such place is Fido’s Courtyard. 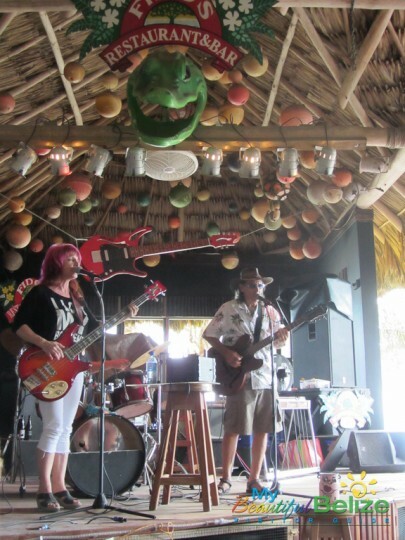 Fido’s – pronounced Feed-Doze, Feed means to consume fine foods and exotic drinks in a Caribbean ambiance, Dose; to relax and take it easy while listening to real music under a real palapa on the beach. 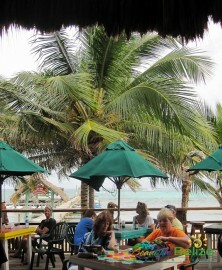 Located right on the beach, in the center of town, offers the quintessential beach bar vibe. If the music isn’t coming from a handheld device, you will most definitely find it live on the stage. A special stage designed to house a full band is located in the ideal viewing spot. Patrons can take in the music while enjoying the cool breeze coming in from the sea. With special events planned throughout the year, including such notables as the yearly Kelly McGuire birthday trip to Belize, and of course, Island Invasion’s special performances, and not to mention the weekly regulars, there is much to enjoy every day of the week. The San Pedro Sun was fortunate to have swung by for Kelly’s Sunday performance, and it was indeed quite the fun evening. From four to seven, Kelly was on stage [with breaks in between, of course], performing crowd favorites, including hits from his award-winning album Boat in Belize, as well from the new album, King of the Island. Earlier, Dennis Wolfe and the Usual Suspects strummed up some tunes, warming the crowd up for Kelly. Wolfe and the gang perform twice weekly at Fido’s, playing a variety of country and rock ‘n’ roll songs. Of course, Sunday Jams bring out the crowd. Fido’s band, a collective of talented musicians, Tull, Dale and Casper, bring the house down Wednesdays through Saturdays. 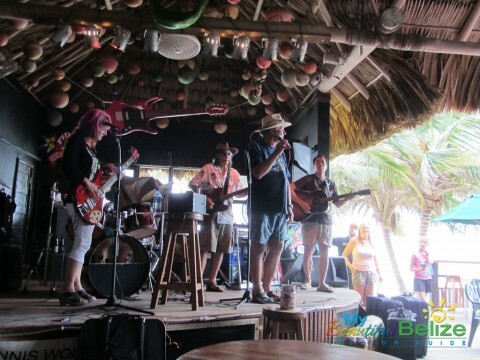 Tull takes things acoustic on Sundays, providing a soothing soundtrack to a fabulous Sunday afternoon at the beach bar. 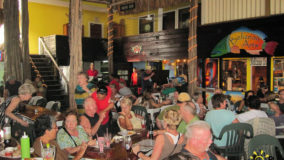 Karaoke is still the rage on the island, so Fido’s has taken Tuesdays to indulge the singer within. 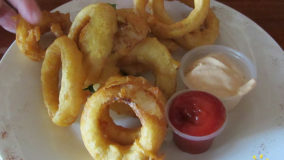 Fido’s is the ideal place to go if you are looking for a place with a seaside view and great service. Friendly bartenders have a cold beer or cocktail ready for you in no time, and with a smile to boot. Waiters and waitresses take your order and in no time, a delicious dish is before you. 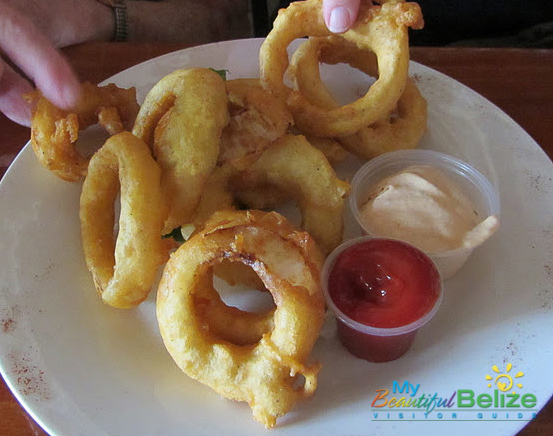 From light appetizers to full scale meals, including the delightful seafood Ambergris Caye is known for, you can’t go wrong with a meal from Fido’s. Monday nights are taco nights, with soft or crispy tacos filled with chicken, shrimp or fish that will surely keep you satiated. 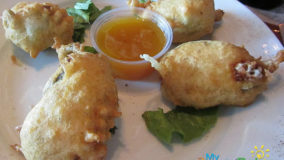 Wings are fun to enjoy while drinking some refreshing draft beer or rum punches. 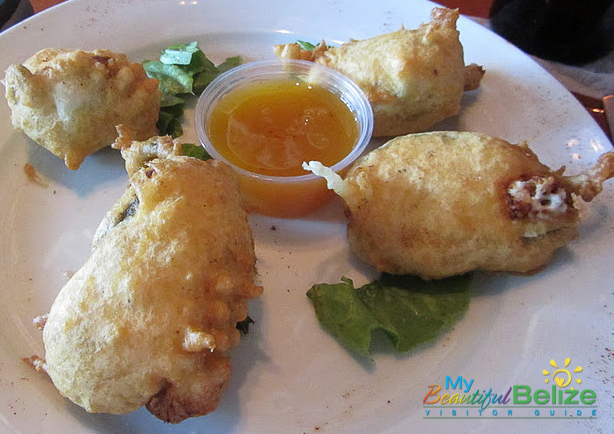 Try the jalapeño poppers for some heat – all the better to wash down with an icy cold Belikin! Whenever you visit the island, or are looking for a great place to chill, be sure to head on over to the big palapa on the beach!! 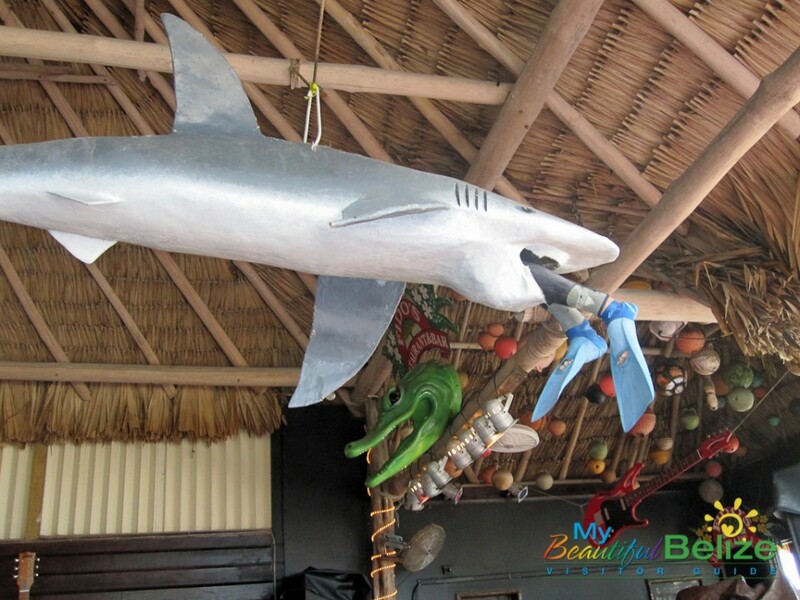 Browse the other cool places under its shelter: Ambar’s Jewelry and Belizean Arts. And for the perfect souvenir to remind you of the great time you’ve had at Fido’s, swing by their boutique. With delicious food, good drinks a warm atmosphere and live music, Fido’s Restaurant and bar provides the sort of open –air entertainment that so many seek.